​Many patients ask us what is a root canal and how do we know if they need a treatment. A root canal procedure will be required if the root of your tooth becomes inflamed or infected. Generally you will know before the dentist because having an infection or inflammation in the roots of you teeth is often quite pain full. If you are experiencing mild or sever tooth pain then we recommend you give our dental clinic in St Catharines a call and schedule a consultation with one of our friendly and professional dentists. Our qualified dentists can determine the cause of the pain and also treat the root canal by disinfecting and cleansing the root, re-shaping them back to normal, and then filling the dis-infected areas with an inert substance which is effective for sealing the tooth; thus reducing the inflammation, the pain, and preventing future problems. The sooner you get a root canal procedure performed the better your chances will be of saving your tooth. 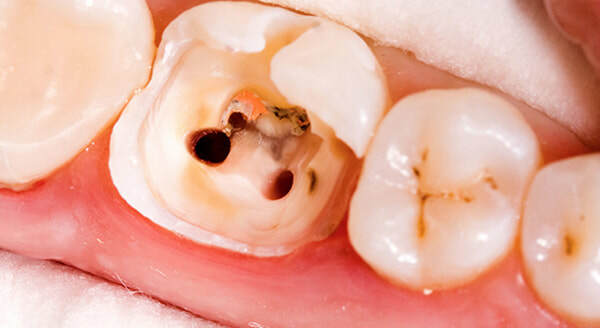 Not to worry, if your tooth can not be saved for some reason then we can provide many solutions for replacing it including; a dental implant or a dental bridge. Do not be afraid if we determine that you will require a root canal treatment. It is a very common treatment that thankfully saves hundreds of thousands of patients teeth each and every year. Don’t let an infection ruin your teeth; protect your smile today and have one of our qualified and experienced dentists help. Just like with other dental procedures; it is important to remember to maintain excellent oral health care after the treatment. The last thing you want is another infected tooth. Be sure to brush your teeth on a daily basis and floss on a daily basis as well in order to prevent a build up of bacteria between your teeth. In addition to your own daily oral health care; it is just as important to visit the clinic two times a year so that you can get a checkup exam and also a complete dental cleaning by one of our certified dental hygienists. If you take the time to care for and look after your treated teeth then they have the potential to remain healthy for the rest of your life. Maintaining your oral health and taking preventative measures is the best way to avoid needing a St Catharines root canal treatment. Along with root canals, we also provide our patients with complete oral cancer screenings. Click the link to learn more about our oral cancer screening services and how we can help protect your entire mouth and smile! Our clinic offers lots of convenient appointment times that will work well with your busy schedule. We accept patients of all ages and are currently accepting new patients whether it be yourself or your entire family. The entire team at Lakeport Dental look forward to helping you maintain, re-store, and create the perfect smile that you have always been dreaming of having. Give us a call today or complete the online contact form above on this page.